Application of molecular genetic techniques has greatly increased diagnostic possibilities of hereditary disorders. In 1983 the first linkage of Duchenne muscular dystrophy with flanking DNA probes was described, which made carrier detection possible in a limited number of cases. The first published prenatal diagnosis for Duchenne muscular dystrophy dates from 1985. DNA-analysis for Duchenne muscular dystrophy and Becker muscular dystrophy has become increasingly informative, firstly by the development of more flanking markers, followed by intragenic probes detecting deletions and, more recently, by the use of cDNA probes detecting a deletion or duplication mutation in over 60% of the Duchenne and Becker muscular dystrophy patients. Although these developments allow a highly reliable (>99%) carrier detection and prenatal diagnosis in over 90% of cases, the continuing introduction of new probes and/or technologies has necessitated constant reappraisal of many families to derive maximum information. 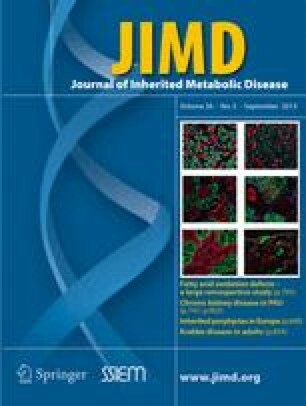 During the past 3 years we applied prenatal diagnosis for Duchenne and Becker muscular dystrophies with DNA-analysis on 53 male fetuses in 47 families. Twenty-two healthy male babies were born, after being diagnosed to have a low Duchenne muscular dystrophy risk. Two pregnancies also diagnosed as low risk have not yet come to term. In the other cases a high risk for Duchenne muscular dystrophy was found and the parents chose abortion. Our studies also revealed a number of important diagnostic pitfalls, such as non-paternity, karyotypic anomalies and gonadal mosaicism.